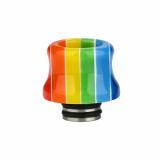 Resin Stainless Steel 510 Drip Tip adopts high quality resin and stainless steel material. 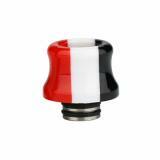 It is compatible with the most 510 atomizers. Resin Stainless Steel 510 Drip Tip 0316, which is compatible with most 510 atomizers, adopts high quality material to offer perfect tactile impression. 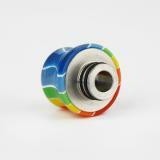 Just take it as your spare part. • It is suitable for 510 atomizer. • Quick link: Ample Firefox Tank. 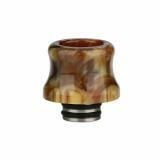 Resin Stainless Steel 510 Drip Tip 0316 is designed for 510 atomizers. Made of advanced resin and stainless steel materials, the 510 resin drip tip is durable and perfectly matches with most 510 atomizers. The presentation may not be best!! Had order a set of resistors and other drip and has been foremost in a bag closed tightly! !! The drip looks Tough and like riding Stick Prince and Its Atos of Smoke!